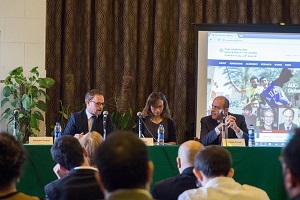 The Friedrich-Ebert-Stiftung in cooperation with AUC Access to Knowledge for Development Research Center (A2K4D) organized a Regional Conference “Improving Public Transportation in the MENA Region”, which took place at American University in Cairo premises in Tahrir, Cairo from 1.-2. October 2017. Public transportation plays a major role in reducing CO2 and GHG emissions globally. Due to the condition of the megacities in the region, public transport still is largely seen as underdeveloped, inadequate and thirsty for improvement and constant development. This would not only be of environmental benefit to the society, but also have great positive economic impact through increasing the efficiency and sustainability of existing models. 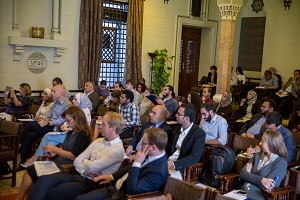 The objective of this conference was to provide a platform for similar initiatives working on improving public transportation and similar topics in the region (Amman, Beirut and Cairo) and capacitating them, while presenting concepts of sustainable urban development to local policy makers and raising awareness among local and regional decision-makers and policy-makers of the potentials of mapping and new data technologies to improving urban transport. 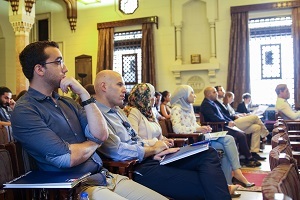 Several topics of discussion included mobility in megacities such as Cairo and success stories as well as case studies from Africa and MENA (Kenya, South Africa, Lebanon and Amman). The use of data in the transport sector was also addressed in attempts of solving problems of informal areas such as traffic. 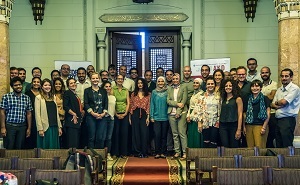 Gender, Socio-economic and environmental impact of public transport were also highlighted with representatives of several initiatives working on the topic in MENA as well as consultants, international experts and policy makers. Finally, modes of engagement between the stakeholders were discussed in order to come up with a stronger vision for the future. 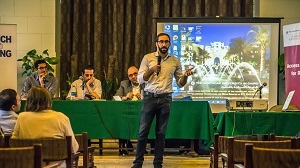 This international dialogue presented sustainable urban development concepts to the public and exchanged success stories and learned from international case studies that worked on similar topics in various countries.